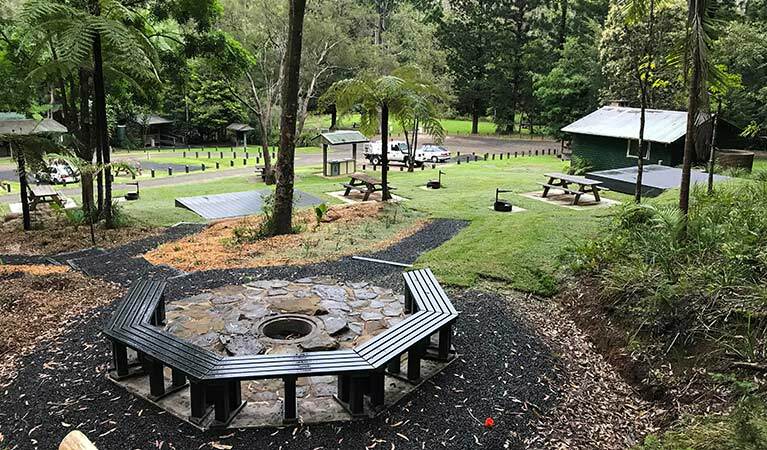 At Goanna Group campsite, the minimum daily rate includes the first 6 adults (16+ years) and 18 children (5 to 15 years). Mobile phone coverage is only available at the signposted sites on Minyon Drive (3.5km east) and Nightcap Range Road (2km south). You'll need to return to these sites to make a booking if you haven't already done so. This is a remote campground. Basic supplies are available at Bexhill and Clunes villages, 30 mins away. 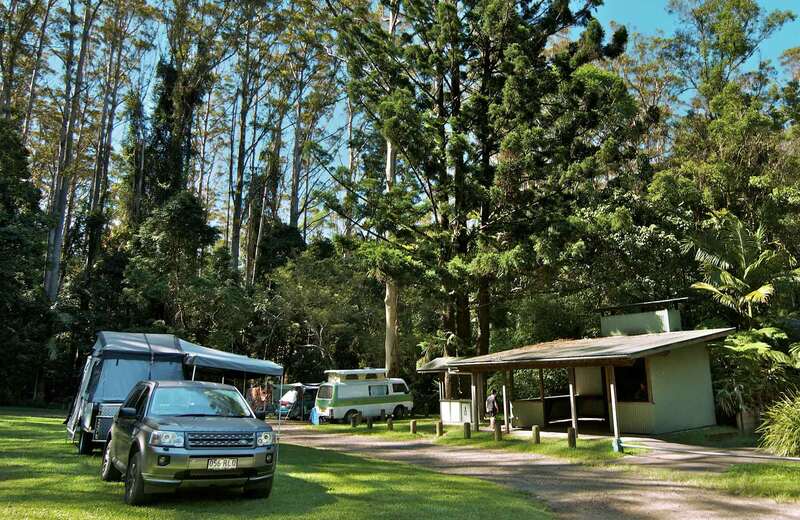 Goanna group campsite is a designated campground for groups of up to 24 people. It's a tent-only walk in area. 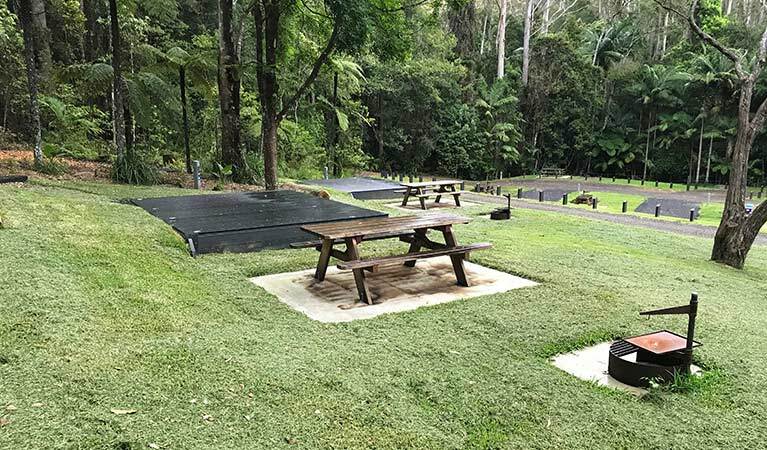 Rummery Park campground is a small but well-equipped spot for camping near Byron Bay and Lismore. 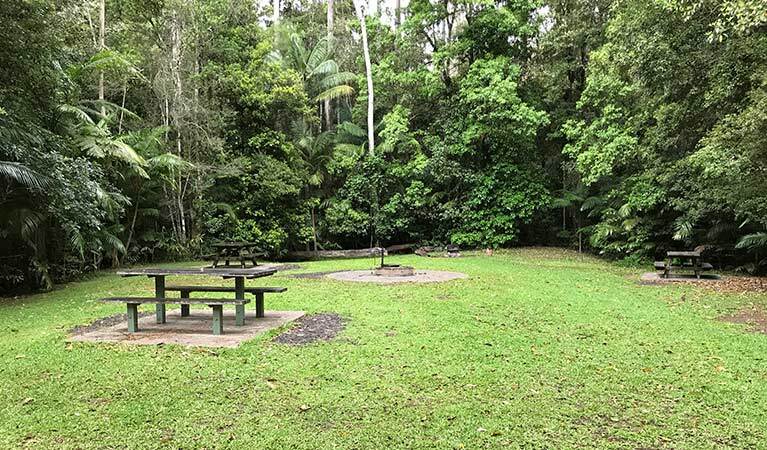 This campground, ideal for families, is the perfect place to base yourself if you want to enjoy the many fantastic trails within Whian Whian State Conservation Area and Nightcap National Park. From here, you can take a short walk along Boggy Creek track to the beautiful Minyon Falls lookout. You can also go car touring or birdwatching, or just sit back and enjoy a peaceful, relaxing camping experience. Make friends with the kookaburras resting in the surrounding gum, pine and kauri trees – you might even spot a koala while you’re looking. 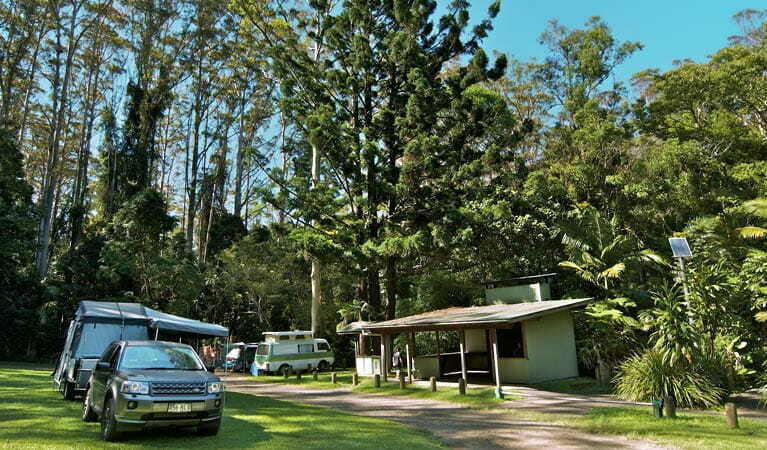 Other animals that visit the campground include goannas, lorikeets, and possums. 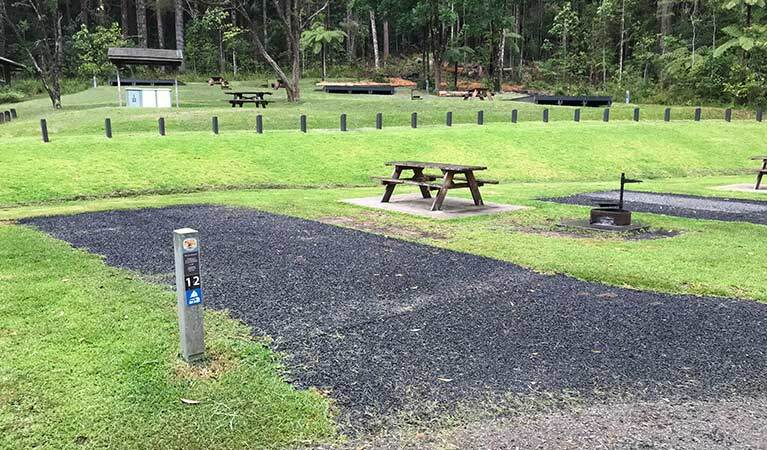 When you’re hungry, strike up one of the gas barbecues at Rummery Park campground. Whian Whian State Conservation Area is always open but may have to close at times due to poor weather.